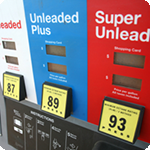 Gas stations and convenience stores remain at the forefront of revolutionary payment technology. Meeting expectations for expedient service does not have to compromise security nor is cause for outrageous processing rates. The Interchange pass through rates you see above are some of the most common cards used in a service station-convenience store environment. Cards assessed at a higher rate will be passed through at true cost with no hidden fees. For the most current Interchange chart please click the pdf link below or contact one of our Interchange experts for training.